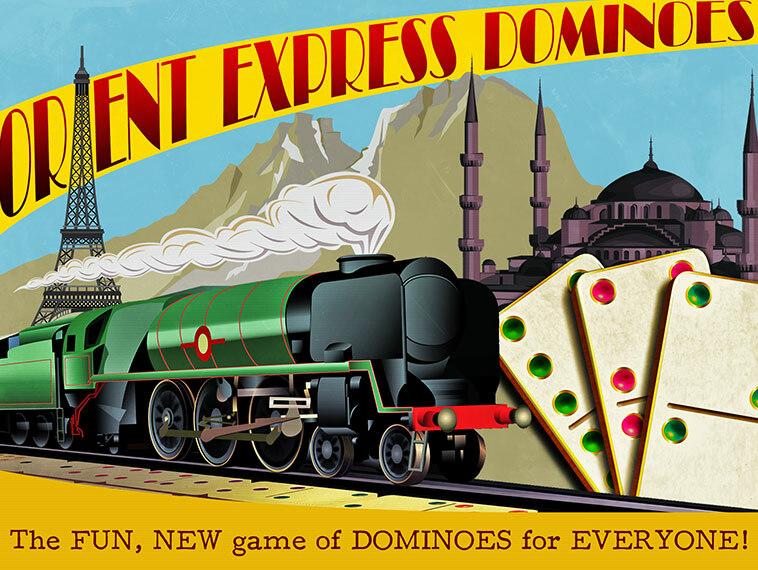 Play this intriguing variant of Train Dominoes in 1st class! 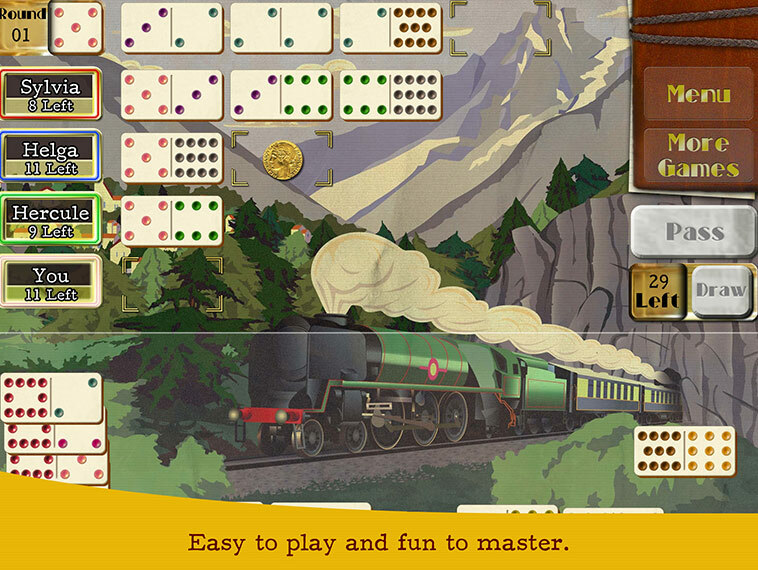 Created by the makers of the popular Mexican Train Dominoes Gold, Orient Express Dominoes features the same slick, touch-screen optimised interface and is just as easy to learn and lose yourself in. 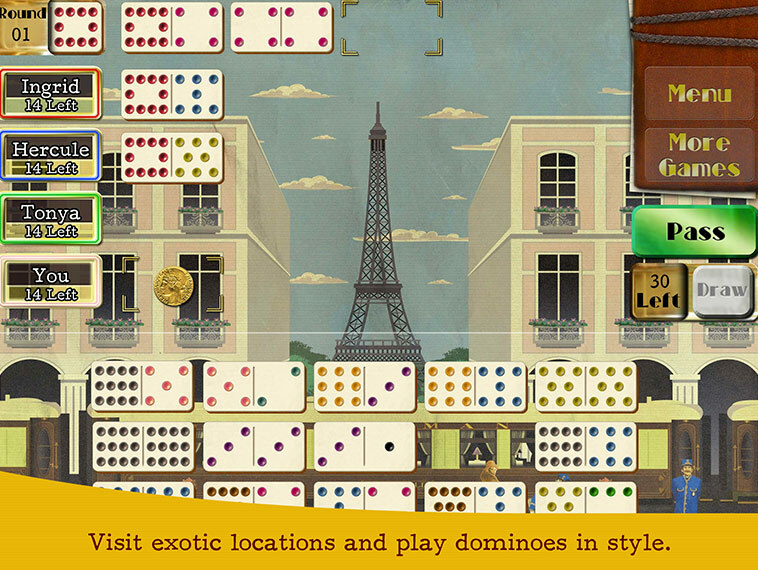 To gently introduce new players to this dominoes game we’ve included a concis,e animated tutorial and helpful pop-up messages. For everyone, else we’ve tried to this family friendly board game a pleasure to play with easy controls and exciting theme. Expert players can even test themselves against more challenging opponents. – Easy to learn rules with an animated tutorial, perfect if you are new to the game. – A new twist to the rules that will give you more options than ever before, but doesn’t change the game. – A.I. opponents with different strengths and weaknesses. 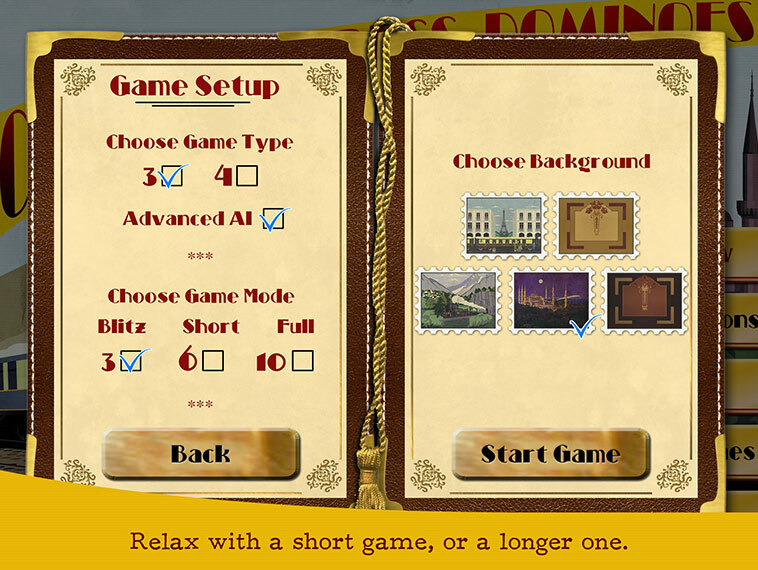 – Either play a quick ‘Blitz’ game, a ‘Short’ game or go for the classic ‘Full’ game. 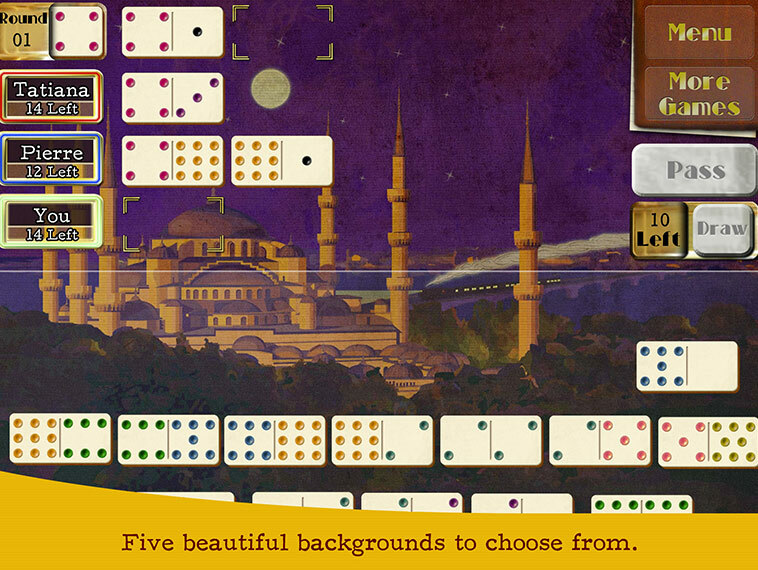 – Select from several different themes, like those inspired by stops on the historic train route. – 3 or 4 player games.